Politics • Love donations from GOP "young guns" came after introductions from Chaffetz but Congressman says he's neutral in GOP contest. Al Hartmann | Tribune File Photo Saratoga Springs Mayor Mia Love. 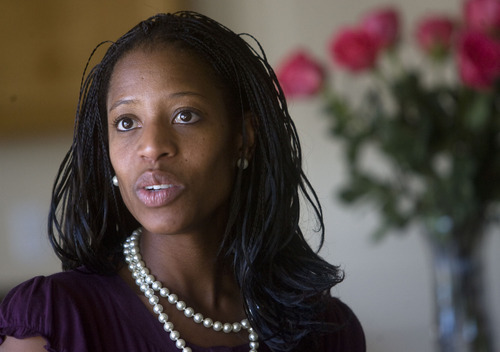 Photo by Chris Detrick | The Salt Lake Tribune Mia Love speaks to her family and friends at the Avondale Academy Tuesday Novemb Associated Press File Photo House Majority Leader Eric Cantor, R-Va. AP/FOX News File Photo. 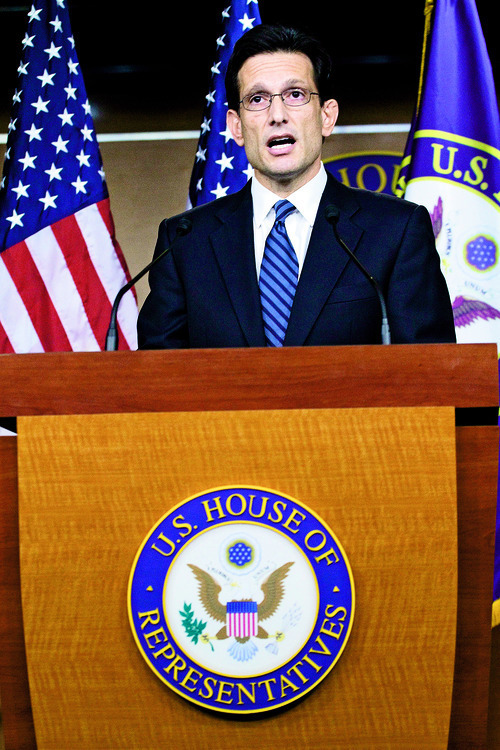 House Budget Committee Chairman Paul Ryan, R-Wis. Tribune File Photo U.S. Rep. Jason Chaffetz, R-Utah. Al Hartmann | Tribune File Photo Saratoga Springs Mayor Mia Love. Photo by Chris Detrick | The Salt Lake Tribune Mia Love speaks to her family and friends at the Avondale Academy Tuesday November 3, 2009. 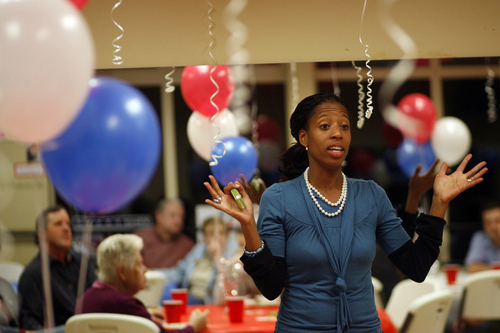 Mia Love is running for Saratoga Springs Mayor. Associated Press File Photo House Majority Leader Eric Cantor, R-Va. AP/FOX News File Photo. 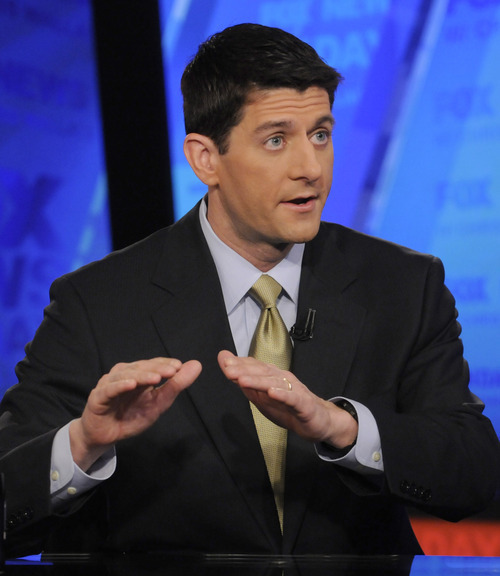 House Budget Committee Chairman Paul Ryan, R-Wis. Tribune File Photo U.S. Rep. Jason Chaffetz, R-Utah. Washington • Saratoga Springs Mayor Mia Love came to the U.S. Capitol in November to look top Republicans in the eye and explain why she wants to be a member of Congress. And she left with a handful of campaign contributions from such party hotshots as House Majority Leader Eric Cantor. Love didn't get those meetings on her own. Rep. Jason Chaffetz, R-Utah, acted as her congressional Sherpa, making the necessary introductions that resulted in nearly half of all the campaign contributions she gathered in 2011. But Chaffetz doesn't want anyone to confuse his help with an endorsement. In the crowded 4th Congressional District race for the GOP nomination, Chaffetz has made a vow of neutrality. "I'm not endorsing. 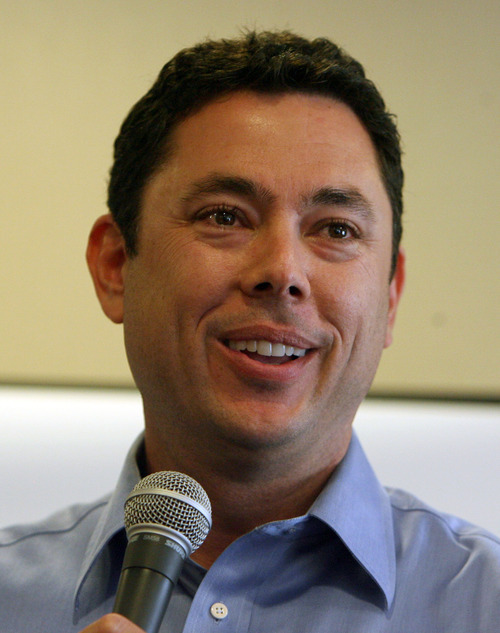 I'm not getting involved, but if there's anything I can do to help, I will," said Chaffetz. "I told all the candidates that I'm happy to make introductions and what I do for one I would do for anyone else." The two-term congressman's interest in the contest goes beyond party politics. He now represents much of the land that will encompass the newly designated 4th District, which will get its first representative in the 2012 race. That seat will include parts of western Salt Lake and Utah counties and a swath of central Utah. Love is one of four Republican candidates who are vying to face six-term Democratic Rep. Jim Matheson in November. The others are state Rep. Stephen Sandstrom, former state Rep. Carl Wimmer and former congressional staffer Jay Cobb. With Chaffetz's assistance, Love collected $5,000 checks, the most allowed by law, from the political action committees of Cantor, Budget Committee Chairman Paul Ryan and House Majority Whip Kevin McCarthy. The trio are known as the "young guns" in the Republican Party. She also collected smaller donations from Reps. Martha Robe, of Alabama, and Pete Roskam, of Florida. Combined, Love received $18,000 from members of the House, constituting a big chunk of the $38,000 she raised in the fourth quarter of last year. Her ties to the Chaffetz camp run deeper than a few congressional introductions. Her volunteer spokeswoman previously worked in the same role for Chaffetz and some of her closest advisers held similar roles for the congressman's campaigns. Chaffetz has personally reached out to the other candidates to explain his neutral position. "He has made it very clear," said Wimmer. And Chaffetz has put in a good word for Wimmer with Republican Study Committee Chairman Jim Jordan. But he has asked for no other assistance. Wimmer said to do so would run counter to his campaign. "My goal is not to appeal to the inner circle of Washington, D.C.," he said. That said, Wimmer has made at least one trip to D.C., where he raised campaign money at an event attended by Sen. Mike Lee and Rep. Rob Bishop, R-Utah, who also has no intention of endorsing a candidate in this race. Love made her November trip to D.C. in part to let national GOP groups know that she wants to support the House Republican agenda. She has no plan to make other campaign stops in Washington. "I said I am willing to make the sacrifice to come out and help do what we can to turn the country around," she said. "Congress has a low approval rating. We need to get our message out to the people. I am willing to do what I can to help." She starts with far less money than Wimmer, who has $108,000 in the bank, and Sandstrom, who has $105,000, most of which he loaned his campaign. Cobb did not file a campaign finance report. And Love is not the only candidate with some national support. Wimmer has the backing of Lee, who has funneled $3,000 to his campaign, and the Club for Growth. Beyond this endorsement, the fiscally conservative Club has been active in Utah's recent elections. It fought against Sen. Bob Bennett in 2010, a race ultimately won by Lee, and has also announced its opposition to Sen. Orrin Hatch's 2012 re-election. Sandstrom says he has some commitments from D.C. backers, but by state law he can't accept their contributions until the end of the state legislative session in March.